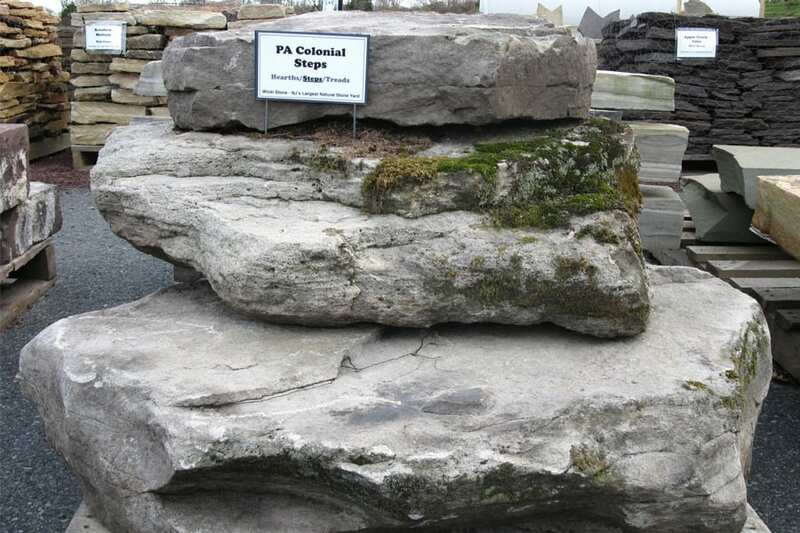 PA Colonial Natural Stone Steps are the steps that go with the classic wall stone that we sell so much of. 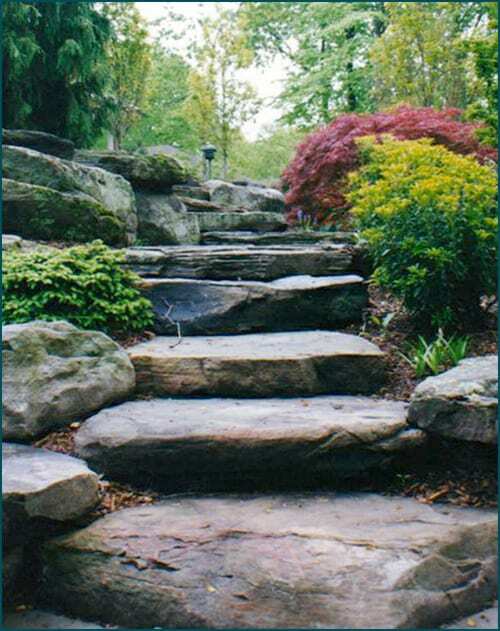 PA Colonial Natural Stone Steps are completely irregular and natural - top, bottom and all sides. Every step is different - often dramatically different. 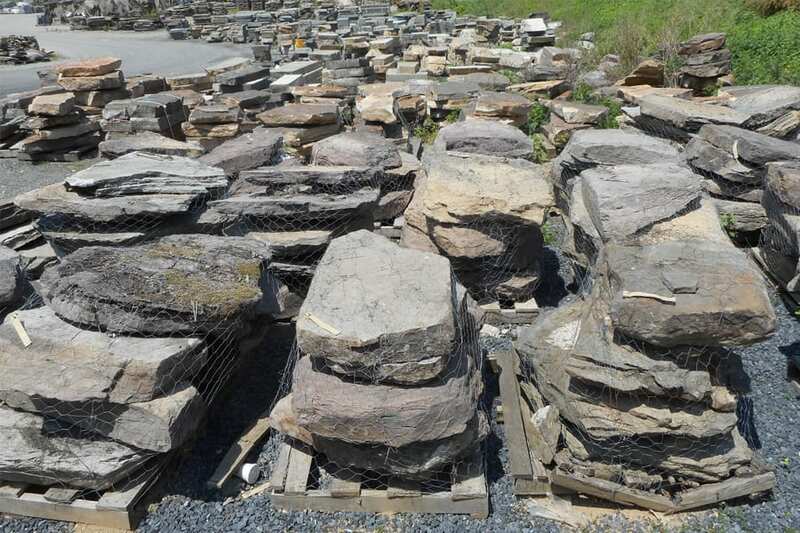 These are classic looking stone steps that in combination with PA Colonial Wall Stone can instantly transform a landscape into a classic looking, aged look and feel. Moss will often grow on the edges of PA Colonial Natural Stone Steps as will lichens. Wonderfully irregular steps pulled from the same sources as our wall stone. Gray tones with darker and lighter accent colors. Irregular step surfaces not recommended for high traffic areas. Light gray although some pieces can be tan or brown. Subtle accent colors add interest, as does moss and lichens.